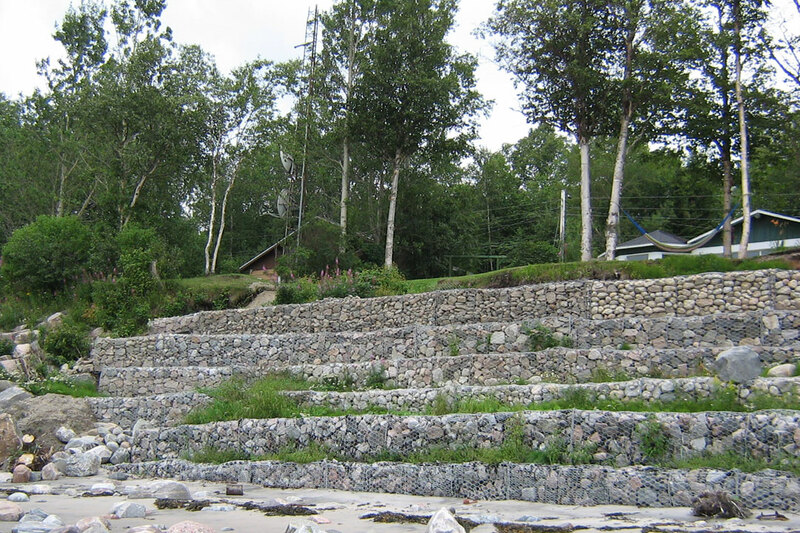 Conventional twisted mesh gabions are rectangular boxes of varying sizes. They are made of galvanized double-twisted steel wires. 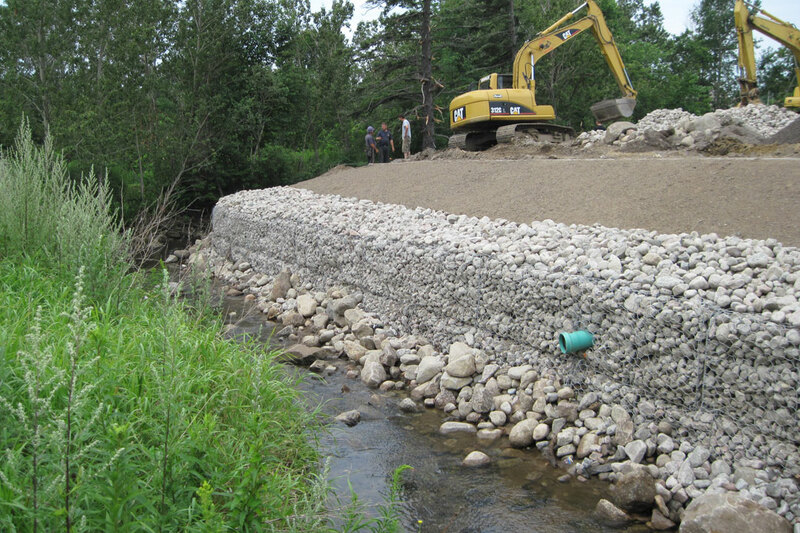 Filled with rocks, these permeable cages serve as massive erosion control. 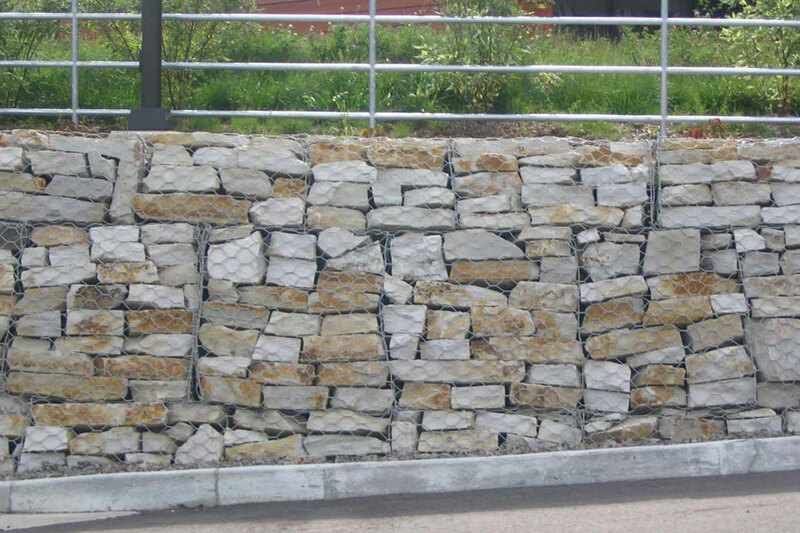 They are stacked as blocks to build walls, foundations or anti-erosion structures.